Lt. Gov. 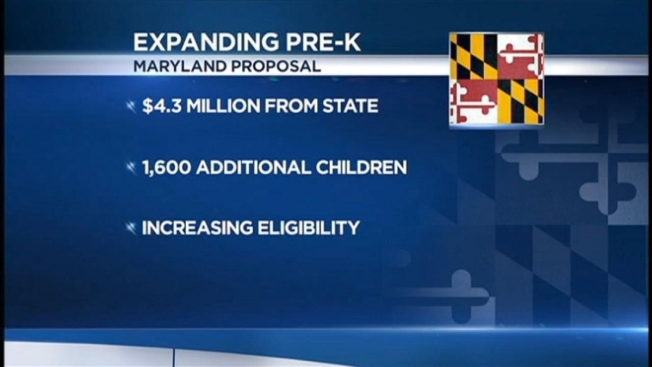 Anthony Brown is outlining a measure to expand prekindergarten in Maryland for 1,600 children. Brown talked about the bill Thursday with House Speaker Michael Busch and Senate President Thomas V. Mike Miller. Gov. Martin O'Malley has put $4.3 million in the budget for the initiative. It's part of a broader goal by Brown to make prekindergarten universal in the state by 2018. The measure focuses on children whose families make between 185 percent and 300 percent of federal poverty guidelines. The bill will be part of O'Malley's legislative package, which is scheduled to be released Monday.